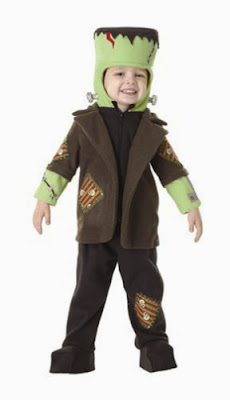 This toddler Frankenstein costume comes with a felt hood with "bolts" on it. 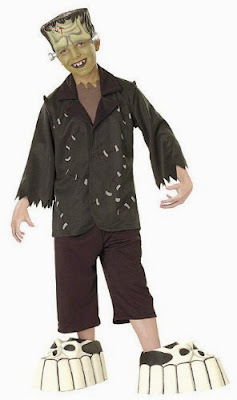 Here's a really inexpensive version of the Frankenstein costume. 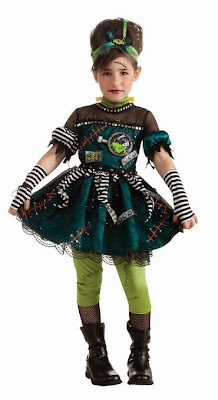 This costume for toddler girls is called "Frankie's Princess." 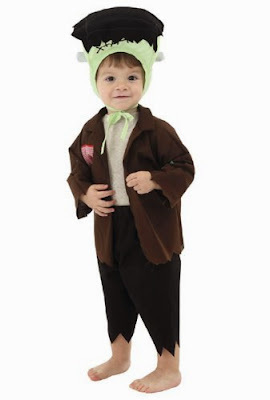 This costume is a toddler version of Frankenstein's Bride. This Bride of Frankenstein costume is for older kids. 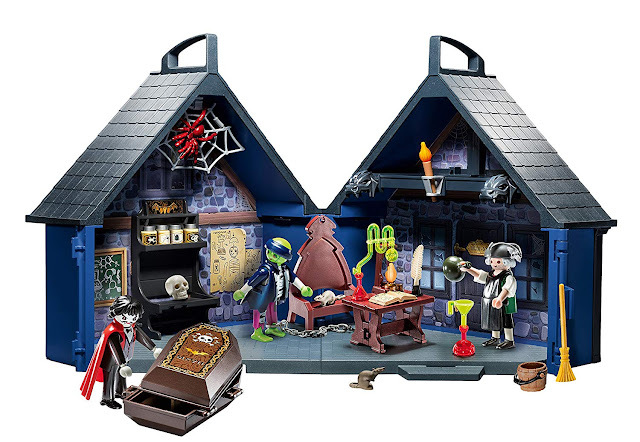 Here's the kid version of Frankenstein.